Manufacturing is a Top Target for Cyber Criminals - ABEX Affiliated Brokers Exchange Inc.
Four of the top 10 cyber threats facing organizations can occur as the result of employee negligence. Phishing scams, the abuse of IT systems, errors and omissions, and the unsecure use of mobile devices can all occur if employees are improperly trained or wish to do an organization harm. ​Industrial control systems are command network and system devices designed to monitor and control industrial processes. These systems are designed to promote efficiency and are often connected to the internet. 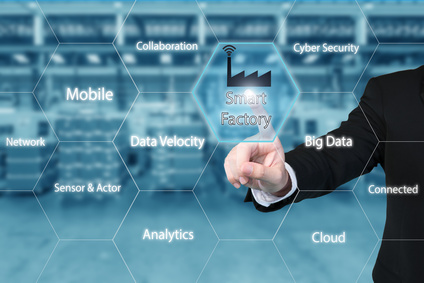 While this connectivity is essential in modern manufacturing operations, it has created a new exposure for businesses to consider. This type of exposure was demonstrated in late 2014, when hackers were able to take over the control systems at a German steel mill through the use of phishing emails. The hackers were then able to disrupt the control system to such a degree that a blast furnace could not be properly shut down, which, in turn, lead to an explosion and massive physical damage to the plant. This incident illustrates just how complex cyber exposures can be for manufacturers. The level of coverage your business needs is based on your individual operations and your range of exposure. It is important to work with a broker who can identify your areas of risk so a policy can be tailored to fit your situation. This entry was posted in Cyber Liability, Cyber Risk Management and tagged cyber, manufacturing. Bookmark the permalink.